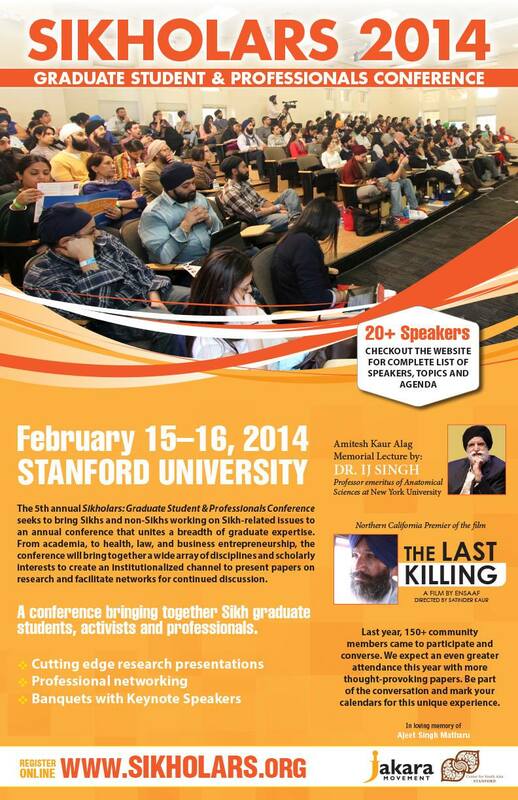 Join us at Sikholars 2014 in Stanford, CA! The Sikh Love Stories Project will be at Sikholars 2014 Graduate Student Conference at Stanford University, Stanford, California, on February 15-16, 2014. Come and partake in dialogue, education and exploration on a variety of Sikh-related topics, and engage with us at the Saturday night dinner. See sikholars.org for more information.